There are several ways to cross the line with your digital brand. You can respond to a negative comment. You can support a controversial topic. Or you can violate an industry regulation by saying too much. Bottom line, establishing brand boundaries can keep you out of trouble and consumers on your side. Find out why establishing brand boundaries will help your brand. Anything can happen in social media. Therefore it’s best to be prepared. While it’s nearly impossible to prepare for every scenario, there are many benefits for establishing brand boundaries. Setting boundaries early on in the development stages of your digital brand will ensure you know how to handle stressful situations when controversial topics arise or your followers’ conversations get out of hand. Here’s an automated response that has no relevance to the customer’s negative comment. Whatever your online presence looks like, carving out boundaries is an effective way to ensure the creativity flows in a way that’s aligned with your brand and it keeps everyone on the same page. 1) Will you state your opinion on controversial topics? There is a myriad of sensitive or controversial topics out there, especially in digital space. Determine what your brand the true essence of your brand value and what type of relationships you plan to build with your target audience. What connection do various controversial topics have with your brand essence or value? If so, do you think your audience will value your brand taking a stance on the aforementioned issues? Let me know in the comment section below. This frozen treats giant has always voiced its opinions and values. They firmly support the Black Lives Matter movement and have invented clever flavor names to show support for this and other social justice causes. This particular case is also an excellent example of brand partnerships. If you would like your brand to take a stand regarding a particular cause, but you are not an authority or thought leader of said movement or cause, you can always partner with someone who is. In this case, UFC partnered with a local nonprofit organization that was used to and equipped to advocate for those populations affected by HIV. The retailer received a steady stream of nasty comments from people upset about its move toward gender-neutral labeling of children’s products in its stores. What are the legal implications of your communication? If you’re a healthcare professional, you need to consider how HIPAA can affect your online presence. While this may seem obvious, there are cases where doctors or nurses careers’ have been affected by an improper use of social media. Even though her post did not violate any regulations per se, the backlash other social media users stirred was enough to force her to resign, as it was viewed as unprofessional behavior. Healthcare Insurance Portability & Accountability Act (HIPAA) prohibits healthcare providers from sharing patient information without their written consent from that individual. In short, do not talk about patients or clients on social media at all, especially if your comments contain identifying information. If you’re in the financial industry, you may be familiar with Financial Industry Regulatory Authority (FINRA). Essentially their guidelines must be followed at all times and extend to the use of social media. They specifically say that all communications must be fair, balanced, and complete and not omit material information. False, misleading, promissory, unwarranted statements or claims are prohibited. Communications may not predict or project performance. If you’re in the financial industry, it’s important to review these regulations when establishing your brand boundaries so that you remain in accordance. Investment advisors may be familiar with the Securities and Exchange Commission (SEC). They have a set of guidelines to assist Registered Investment Advisors (RIAs) to comply with antifraud and recordkeeping requirements. They state that a firm’s use of social media must comply with various provisions of the federal securities laws: antifraud, compliance, and record-keeping provisions. If you’re in the advertising industry, you’re definitely on social media. For the latest industry information and guidelines, you can refer to the Federal Trade Commission (FTC) to learn more about their latest requirements surrounding native content and other advances in social media that are meant to protect consumers. Image used in a legal dispute between POM Wonderful and the Federal Trade Commission (FTC) over allegations of false advertising. This may seem like a lot of information to take in, but I just want to make sure you protect your brand! While there are types of content that may be off-limits depending on your industry, there are always ways to get creative and bring in audiences that will resonate with your brand and take advantage of everything you have to offer. Whichever decision you make, you must also be aware that you can revisit these guidelines at any point in time as your brand grows or evolves. Make sure to occasionally check with your respective industry authority to make sure you’re up to speed with new developments. Content: writing, images, language used, and topics discussed. Dealing with trolls and those who are abusive online. 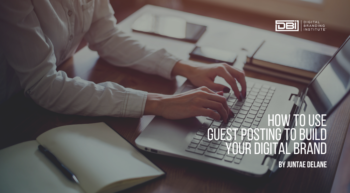 These guidelines can help you manage growth, especially if your brand gets so big that you need help managing its online presence. By taking the time to outline your expectations, you can make sure your brand identity remains true to your audiences and intact! 1. Will you state your opinion on various controversial topics? 2. What are the legal implications of your communication? Amy Dunbar, an ob-gyn was forced to resign after ranting about a chronically late patient on social media. 3. What can and cannot be said if you are in a regulated industry? It’s wise to know where the line is, but it’s even better not to go anywhere near it. Your digital brand is all about perception, especially within professional industries. Consider how your actions will affect how highly respected peers, thought leaders, and authorities, perceive you. 4. How will you deal with trolls? Think about how you will respond to trolls as they engage with your brand and its audience. Whatever your online presence looks like, establishing brand boundaries is an effective way to ensure the creativity flows in a way that’s aligned with your brand and it keeps everyone on the same page. Remember, there are several ways to cross the line with your digital brand. You can respond to a negative comment. You can support a controversial topic. Or you can violate an industry regulation by saying too much. So, how will you respond? Remember, there are several ways to cross the line with your digital brand. You can respond to a negative comment. You can support a controversial topic. Or you can violate an industry regulation by saying too much. So, how will you respond? Do you think brands should take a stance on controversial topics? Let me know your opinion in the comment section.